I don't know about you - but I do not go to a lot of dress-up Christmas or NYE parties - so finding pieces that I can mix and match and wear later in my everyday life are best for me. And, with this look, all of these pieces worn together create a festive party look - but can easily be incorporated into a more casual everyday outfit. Also, other than the Gucci bag, which I found a similar one for a lot less here, everything is budget-friendly, like these $35 pumps that look just like the Christian Louboutin ones. I think I need to get a pair of red boots - so I can create this look. I just bought this v-neck cableknit sweater during the Black Friday sales - and I am actually wearing it today! 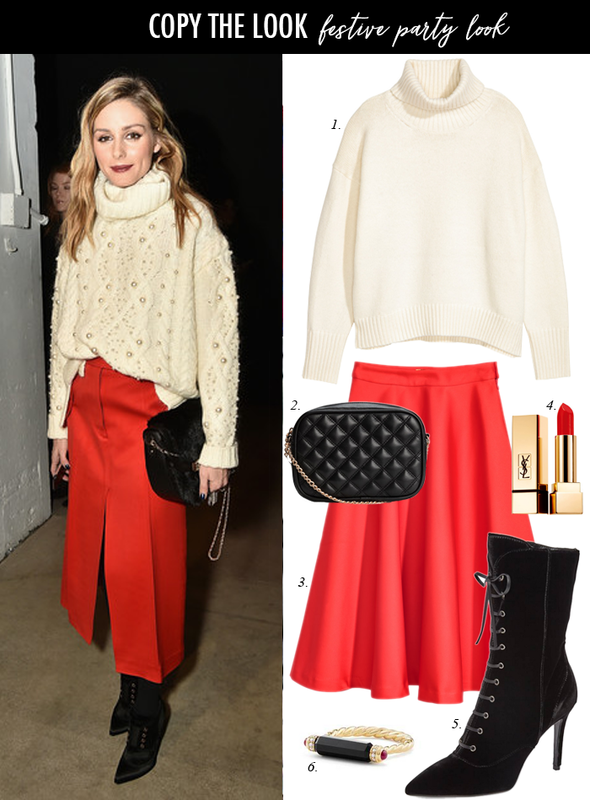 If you are looking to add some red this season - I think this is the perfect way. And, I love those lace up booties - they come in a couple of colors - and I want to buy them! Hope you survived your Black Friday! 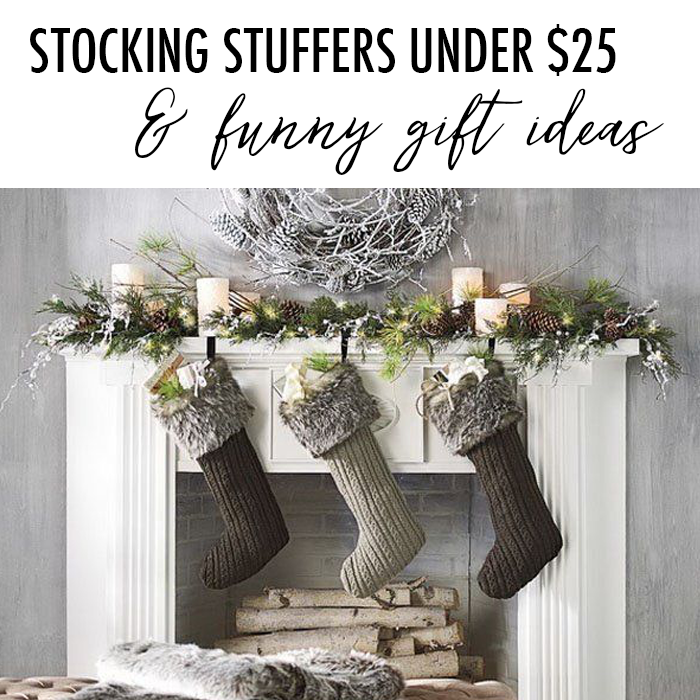 Today, I am sharing some of my picks for funny gifts. I love funny gifts - one of my best work memories is when we used to do a white elephant/funny gift exchange. I looked forward to it each year - and would always try to get the gift that would get the most laughs. Happy Black Friday Shopping Day! 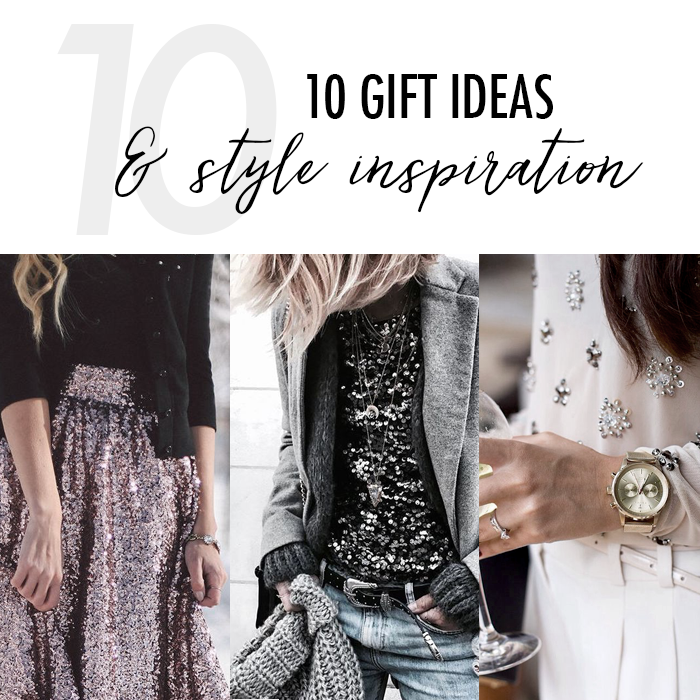 Just a little sparkle inspiration... and some shopping deals. I hope you are enjoying the day with family & friends. 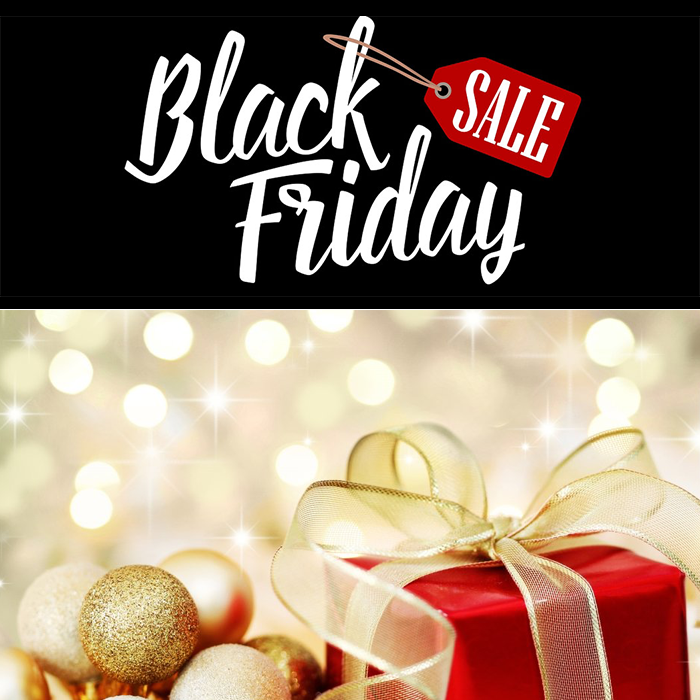 And, if you are doing a little shopping - here are just a few of my finds. This cute mini velvet bag is 40% off. This sweater dress with a fun button detail is on sale for $60. This leopard coat is on sale for $40. This classic winter white cable v-neck sweater is just my style. A classic grey v-neck that is only $26. This sweater I have wanted to get is 40% off. This striped turtleneck is 50% off. 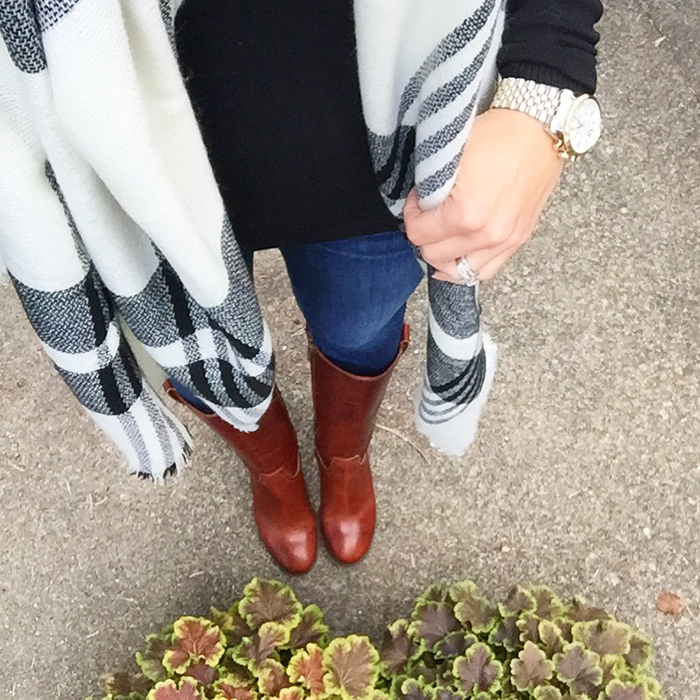 This knit scarf is on sale for $9 - and comes in fair isle and leopard prints. This leopard cardigan is only $25. The new ruffle dress is under $50 - and would look great with tights or OTK boots. This buffalo plaid blanket scarf is on sale for under $15. 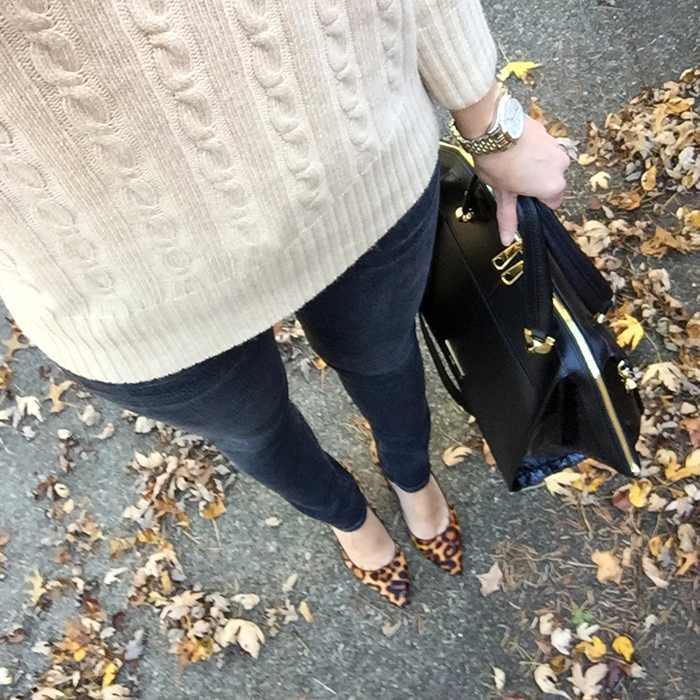 This fun leopard sweater is only $25. This tunic sweater looks comfy and is 40% off. This leopard faux fur jacket is a great deal! This pretty wrap floral blouse is only $7. This comfy cardigan is only $25. Update: The pom pom sweater I shared earlier this week here - is marked down more than 50% off. 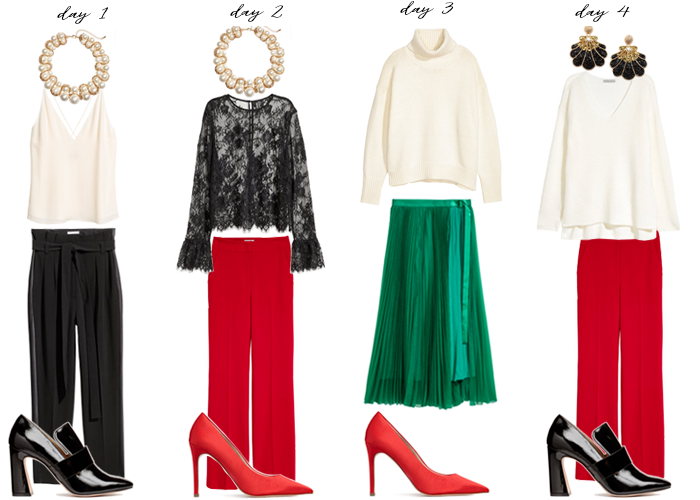 Just in case you missed it - yesterday I shared my top 10 sweater picks - all 50% off! 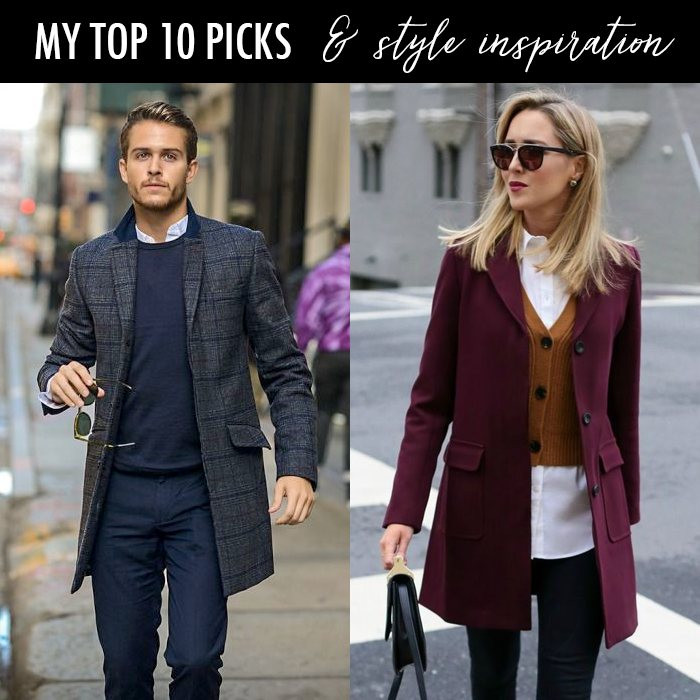 I shared my top 10 picks from the buy more, save more sale here. The pom pom trend is strong - it is on boots, sneakers, and even sweaters, like these fun ones. I was able to create a "save" look that is very similar to the more expensive designer one. And, that "save" pom pom sweater is currently 40% off plus an additional 10% off. 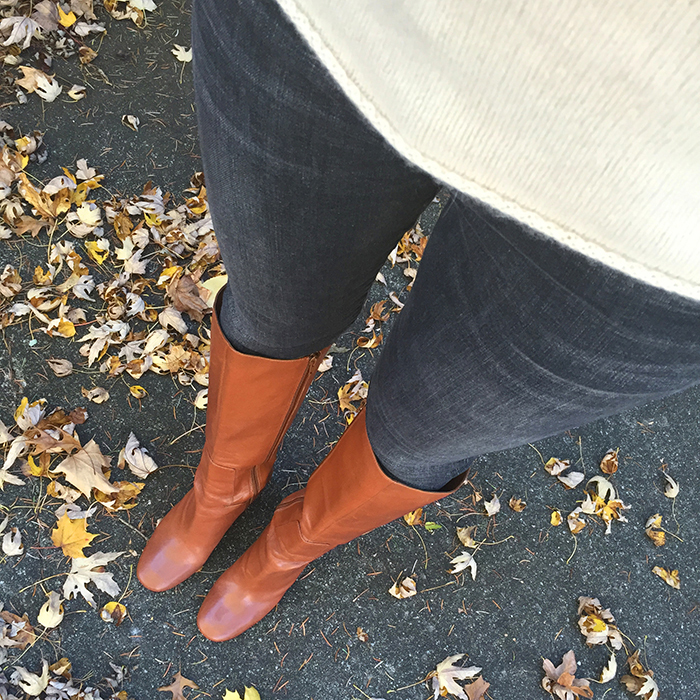 This is the perfect casual outfit for Thanksgiving week - whether it is going to the movies, shopping or to a casual dinner. You could easily swap out the distressed jeans for these non-distressed boyfriend jeans. This cardigan is so fun and festive. I love this balloon sleeve sweater that is 40% off and comes in five colors. This sweater has a fun slit detail on the sleeve and is 40% off. For someone that loves hot chocolate (or coffee) - this cute plaid initial mug that is only $8. These faux fur slippers look so warm and cozy - and they are on sale. I love this fluffy cardigan. These rust colored designer jeans are only $80! These fun buffalo plaid coasters would be great for a study. This new arrival chunky v-neck sweater is under $35. I hope these suede ankle booties go on sale for Black Friday. I love this velvet jewelry case for traveling and is 25% off. One of my favorite brands of bags - has their cute camera bag on sale for up to 50% off. 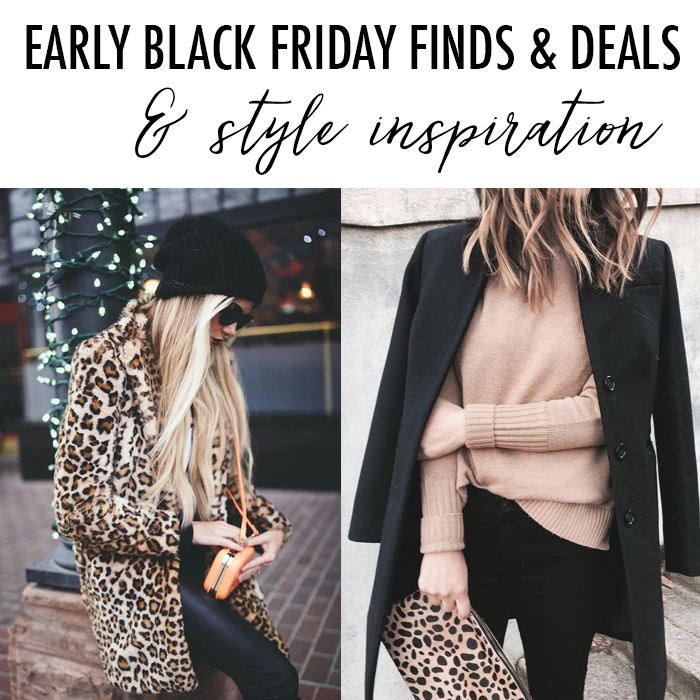 Today, I am rounding up my favorite new finds - and some early Black Friday deals. These joggers are so on trend and on sale for $12 - and come in a lot of colors. I love simple knit beanies - I could collect them in all colors, like this bright color. This velvet cami is as low as $12 - and would look so cute under a jacket. This belted sweater dress is $50 off todya. You can buy this cute sweater here for full price or here for half the price. I still love this skirt and am debating getting it, while it is 50% off. These fun plaid pants are 30% off. This buffalo plaid cape is only $45 - and is perfect for this season. This sweater is $20 - and comes in like 10 different colors. I am excited to see these items on the gift guide - there are so many things I like. This cozy cardigan is super soft and cozy - highly recommend it. I like this mustard sweater with the balloon sleeves. These ankle booties with the lace up detail. These velvet jeans look so fun and festive. These new pink sneakers (that also come in 7 other colors). Off white sweaters are really a go to for me in the winter - and I just found this one. This fun ruffle sleeve sweater that comes in two colors and is under $50. Just in case you missed it - I shared a few of the things I bought yesterday. 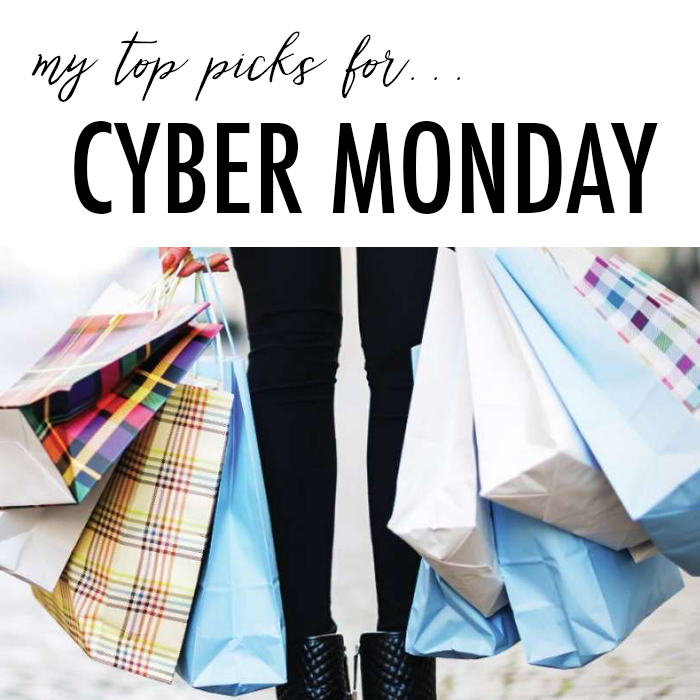 Today, I thought I would share some of my most popular items - along with some things I have bought recently - as inspiration for gift ideas - as you start your shopping. This striped sweater on sale for under $20. This $25 floral dress that looks great with suede boots. This cardigan that comes in four great colors. This jacquard-knit sweater that I want to buy. This rolled turtleneck sweater that comes in five colors. This classic and soft black turtleneck sweater. This is my go-to turtleneck to wear under jackets. I stock up during the NSALE - it is a great buy. This fuzzy fur jacket - that I know I will get a lot of wear out of. This is a very similar fuzzy coat that is a third of the cost of the one listed above. I bought this fuzzy sweater; however, the first time I received it in the mail it was damaged, the second one they sent looked like it had been shrunk - so I am debating if I should try it for the third time - or just give up. I love the sweater, though. Next week today - it will be Thanksgiving. How can that be? I am pretty excited for Thanksgiving - and the start of the Christmas season. I even bought a new Christmas tree, which I can't wait to put up, but my husband said we wait until after Thanksgiving. It is hard to wait - and I may have already put up some small decorations around the house already. 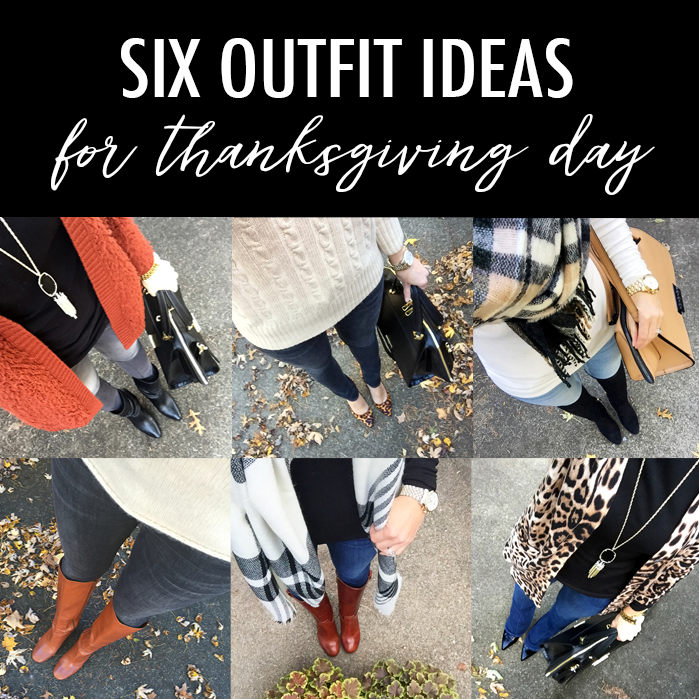 Today, I am sharing six casual (and comfy) outfits that could be worn to Thanksgiving. And, just in case you missed it - I shared my 15 piece mix and match Christmas and New Year party capsule collection yesterday. These fur lined loafers (or mules) that look like the Gucci one are only $25. This shearling sweatshirt looks so cozy - and is a great price. I also like this one - and all the great colors. This cute pleated skirt in blush would be the perfect party skirt. I love this camo print puffy jacket - that is under $35. This striped tee is only $20 - and additional 40% off. 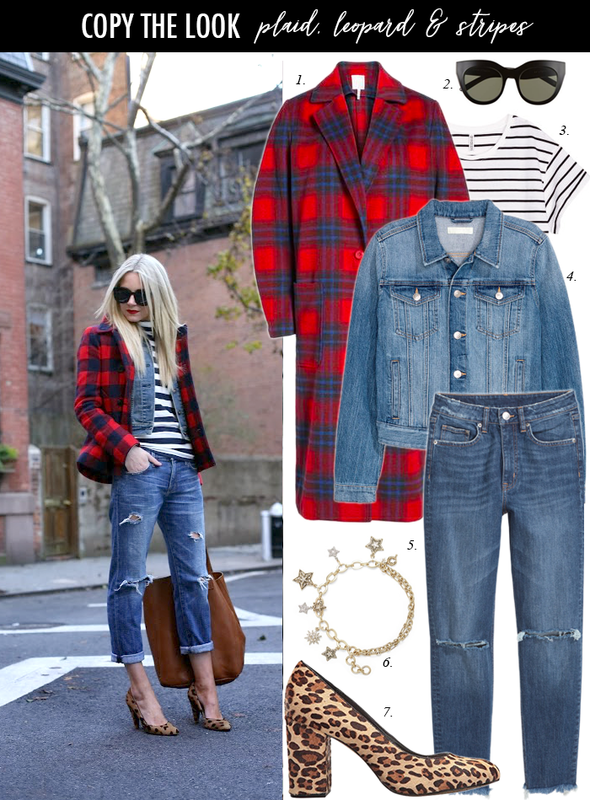 Buffalo plaid is a favorite of mine - and this cardigan would be perfect. These studded booties with buckles are on my wish list - but I found these for $38 - a more affordable option. This simple gold pendant necklace is only $10. Would you buy (or do you own) gold silverware? These popular suede boots are marked down. This rustic red blazer would be perfect for work and casual weekend. It’s that time of year to get dressed up for Christmas and New Year’s parties - so I have put together a 15 piece mix and match capsule collection. All the items are budget-friendly - most are under $35 (and all are under $80)! 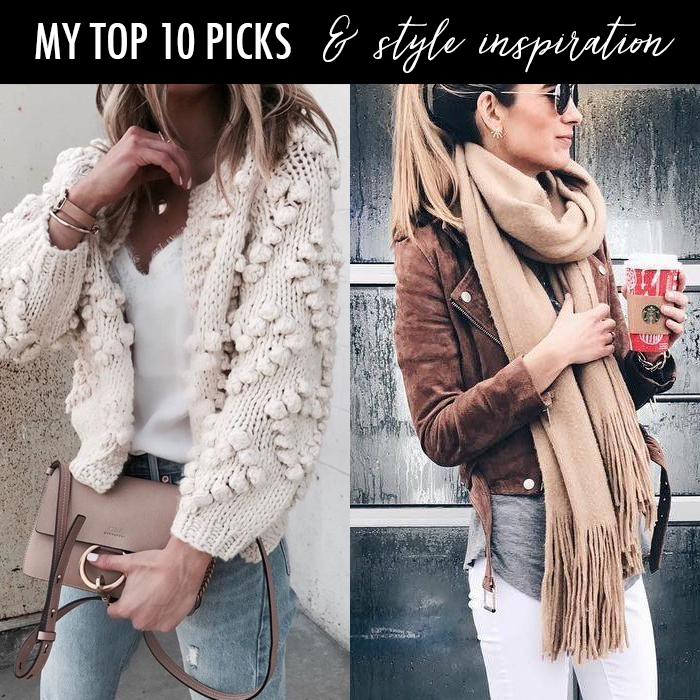 All these pieces can be easily mixed for both casual and dressy looks. 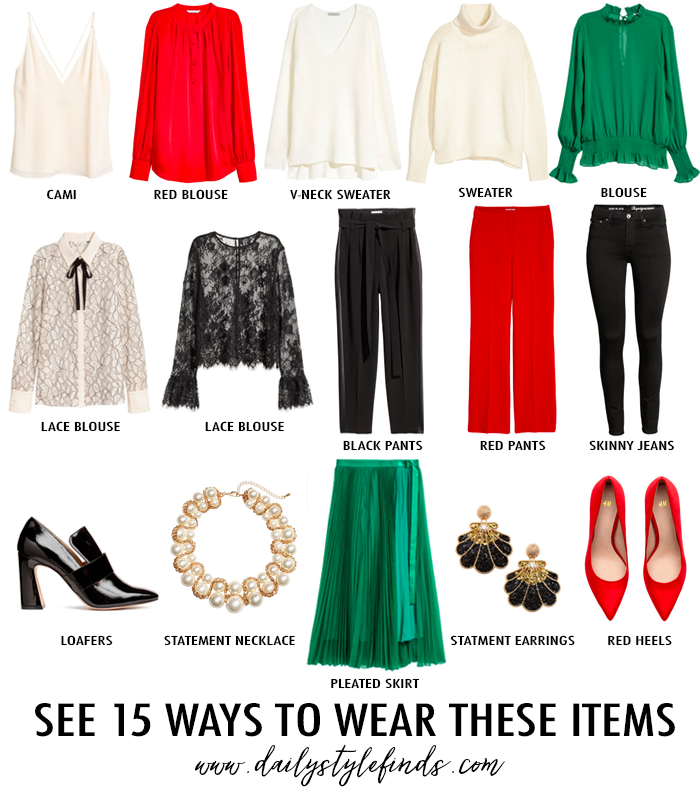 By just adding a little red, green or sparkle - you can create an easy party look. And, many of these items may already be in your closet. This chunky v-neck sweater that is currently 20% off - and under $30. This turtleneck sweater that is under $30 - but I can’t decide which color - I want to buy all of them. This sweater is totally not something I would typically wear - but I really like the bold colors. This popular beaded sweater (or the sequin one) - is also 20% off. This sparkly gold sweater with the balloon sleeves. This cute buffalo plaid skirt is 50% off. This quilted jacket that reminds me of the Burberry one is 50% off and under $65. And, this popular quilted vest is as low as $30. These sparkly pumps are 50% off and would be great for a party look. I also love this classic plaid skirt - is only $37. I just found these cute vases to add to my shelves in the kitchen and they are 20% off. I keep seeing so many people wearing this coat - and I want to get it. This polka dot blouse is only $10. I ordered this bench for our bedroom (in August) and it finally came in yesterday! This chunky cardigan is 40% off and comes in four different colors. I might get these suede boots for my husband. These are great dress shirts - and they are 40% off. This 1/4 zip sweater is 50% off - and comes in two great colors. There are some great deals on designer jeans. My husband needs some new sneakers - and this brand always lasts a really long time. Also, I shared more top picks here and here. 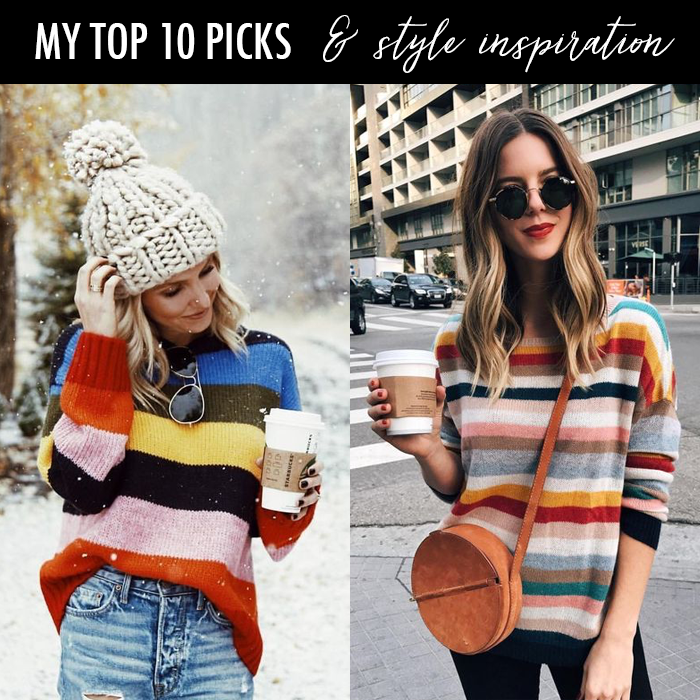 I typically would not buy a colorful striped sweater - but I really like how it looks, and I love the colors in this one that I found that is only $18. This mock neck sweater with a fun side slit - is on sale for $36. This relaxed turtleneck sweater is under $30. I love this bell sleeve sweater that is on sale for $35. This wool peacoat comes in 5 colors and is only $38. This popular tie waist sweater is on sale for under $50. This cute choker necklace is on sale for $12. This buffalo plaid shirt is on sale for $20. These stackable beaded bracelets dress up any look - and are only $12. This striped sweater is only $20 - and it comes in several other colors. These metallic gold slip on sneakers are on sale for under $25. 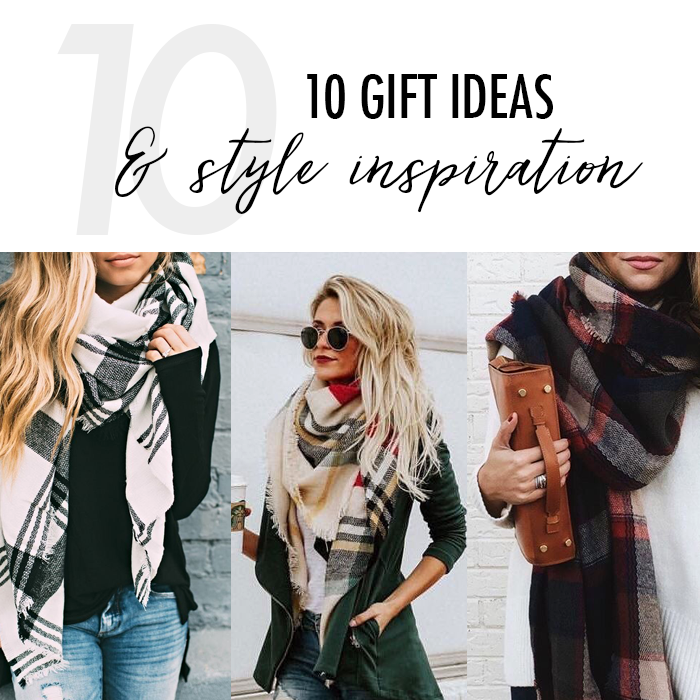 Just in case you missed it - I shared more gift ideas and popular items yesterday! 1. This $25 floral dress - looks great with tall boots. 2. A cozy quilted vest in blush that is under $25. 3. 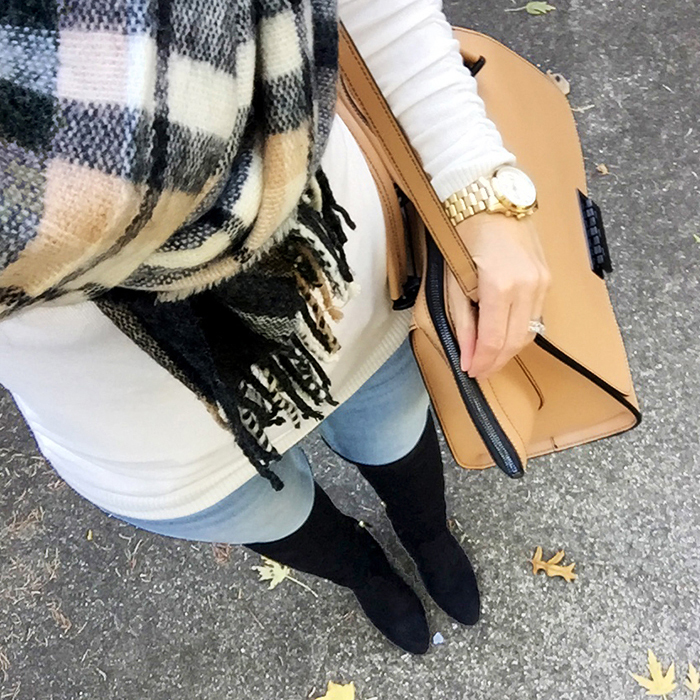 The perfect winter plaid scarf that is under $25. 4. A burgundy tote for $25. 5. These leopard booties that are 50% off. 6. These popular booties are marked down more than 60% off! 1. These plush leopard socks are only $15. 2. This hand cream from France is $12. 3. These travel size MAC lipsticks are only $10 - perfect gift! 4. This hair treatment makes your hair smell like the beach and leaves is so soft! 5. This updated basic tee with a twist is under $25. 1. This floral chiffon maxi dress is 40% off. 2. This chunky cardigan is 40% off. 3. I love this boucle everyday coat in blush. 4. This pink faux fur jacket will make a statement. 5. This lace dress is under $50 -comes in black and red - and would be perfect dress for a party this season. 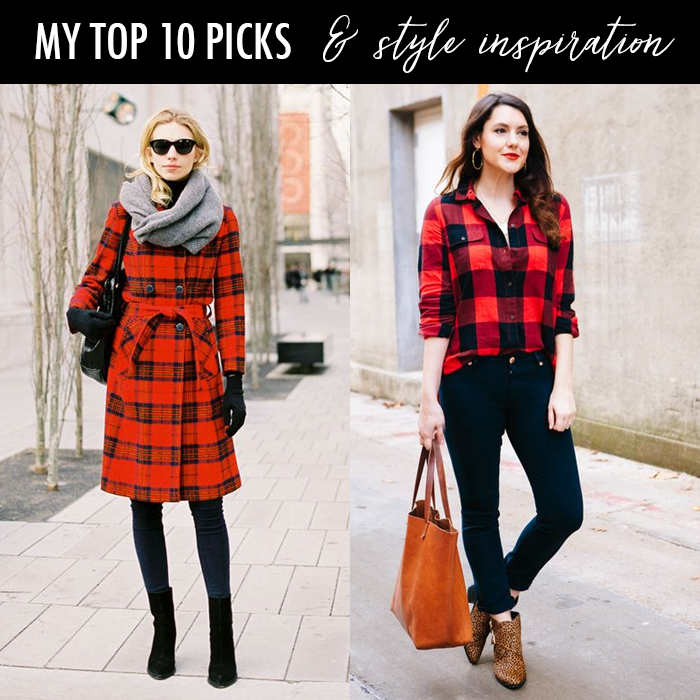 Buffalo plaid is one of my favorite prints - especially paired with leopard. 1. This leopard sweater that is only $20. 2. This $7 knit beanie that comes in five colors. 3. This blush vest that is on sale for $17! 4. These faux leather leggings are only $19. 5. This stylish tote that comes in black and burgundy is only $25. 6. These embroidered sneakers are only $25. 7. This plaid scarf is only $24 - and makes me think of Christmas. 8. This peplum top is only $18. 9. This striped tank is marked down 40%. 10. This floral dress is only $25 - and would look cute with suede boots. I cannot believe it is the second day of November and Thanksgiving is three weeks away. Fall was a blur - and was not exactly the best fall since the temps were in the upper 70s/80s for most of it. And, now, we skipped the good fall weather - and went to cold and rainy and in the 40s. Yuck!!! 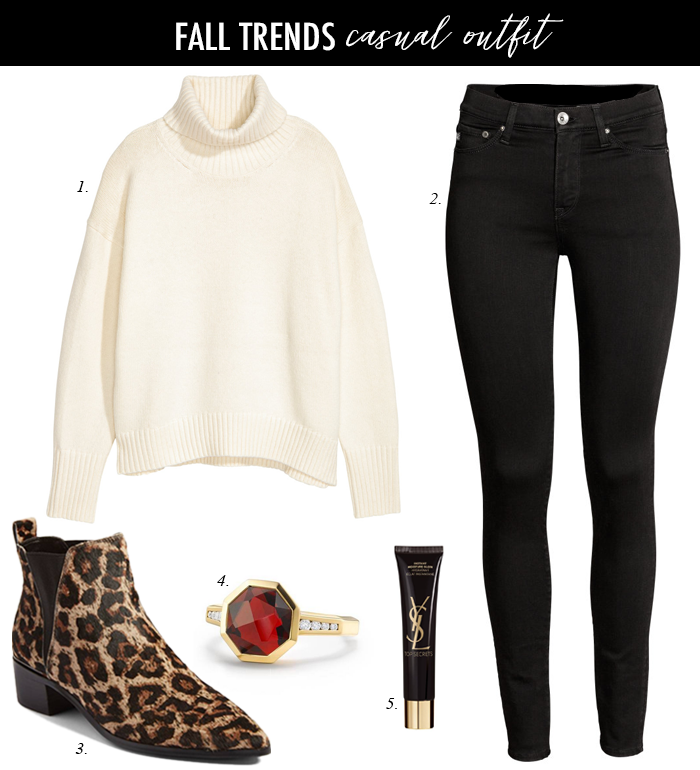 This look is a go to look for me - staple black and white with a pop of leopard. And, those leopard booties are 50% off. 1. 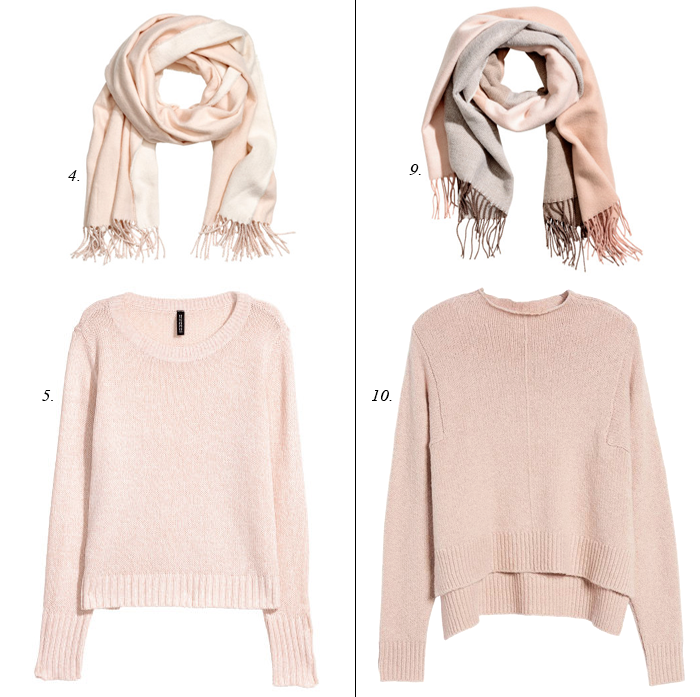 This shaggy pink sweatshirt is under $30 - and looks so warm and comfy. 2. This crushed velvet blazer would be perfect for Christmas parties and is under $50! 3. This lace blouse is only $35! 4. This fluffy sweater is only $25 and comes in three colors. 5. This pink boucle winter coat is under $70. 6. I wear these mini socks in my booties - that way my feet are more comfortable but I don’t have socks sticking out. 7. This twist front sweatshirt is only $23 - and comes in four colors. 8. This fuzzy off the shoulder sweater is 40% off. 9. 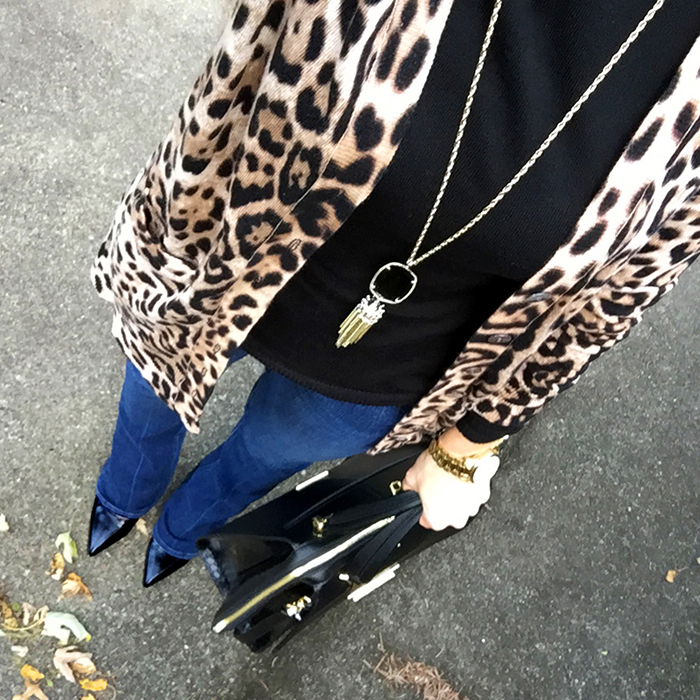 This leopard faux fur jacket is a top pick of mine. 10. 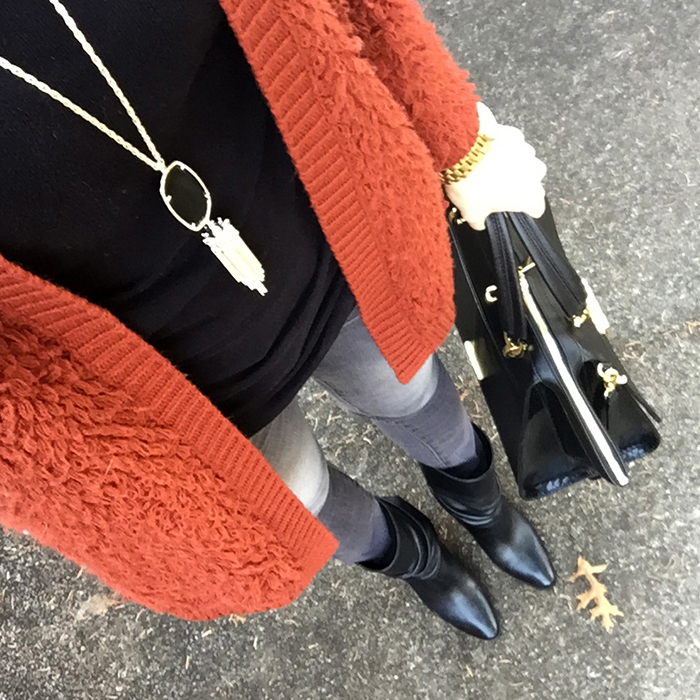 This chunky cardigan comes in two great colors for fall. My favorite brand of jeans are up to 40% off. One of my favorite brands of jackets is on sale for up to 40% off - there are some really cute ones! 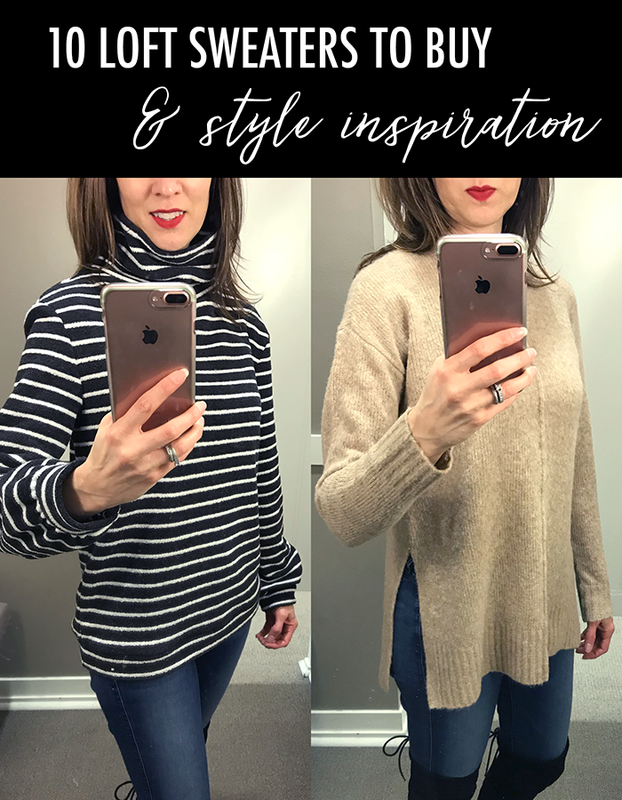 Some fun sweaters for fall - including chunky cold shoulder sweaters and lace up ones.